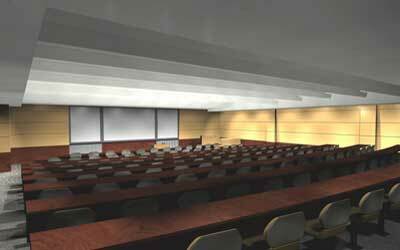 The College of Nursing Remodel is a testament to how collaboration between client, architect and consultants can make a difficult space work. 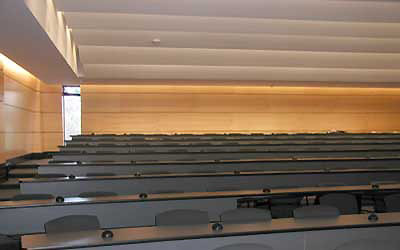 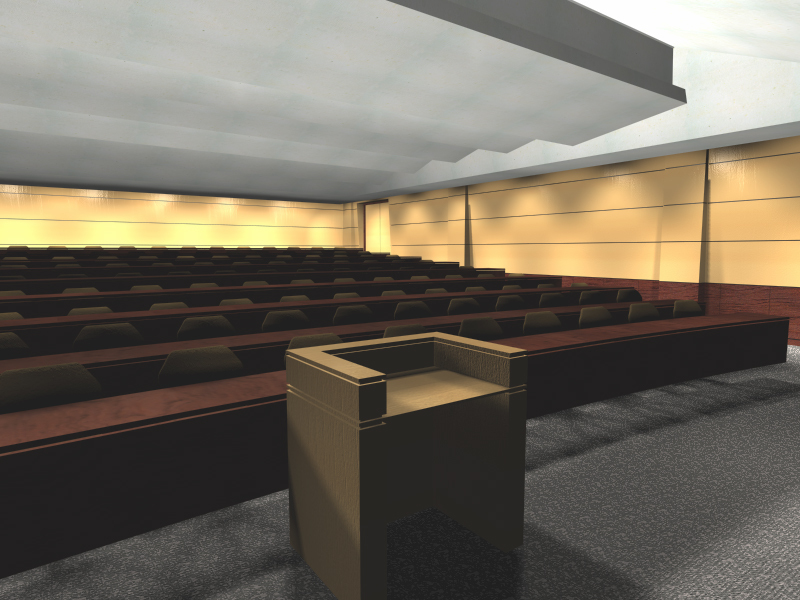 Sloping walls and ceiling planes were created to meet the acoustical and lighting requirements. 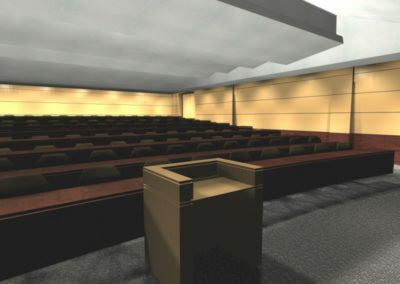 Developing computer renderings helped the client understand the concept and materials used to bring the project alive. 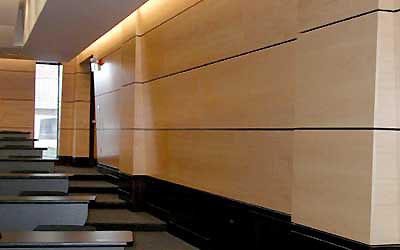 By listening to both client and consultant, we were able to bring new life to this room for staff and students.